Very very much thank you..Such a great tutorial..
Ooh really nice! Thanks a lot! doofe frage, aber wo kann ich das denn angucken? I love your tutorials! Amazing! when I click on the image above I don't see the tutorial...can you help me see it. Nice outcome, thanks for sharing the tut! nice thanks for the help! *__* So ein tolles Tutorial, dankeschön!! Thank you this was a great tutorial! as all of your tutorials are, faved <3. never knew of something called layer mask before xD but now I do . omgosh, thank you for sharing your ultimate wisdom. ;w; This was very helpful for me, really. Thank you. I'll be sure to make good use of this tutorial. This was VERY thoughtful of you, i mean, if you had not made this tutorial, i would never have figured out to fix the colours this well, would have insulted myself for bad colouring sense and discarded the picture....so THANKS! why do you need it in that form? Ah, your Photoshop is in German, if I'm not mistaken? Are you from Deutschland? Hallo~ I'm not very good at German...your English is very good, though. 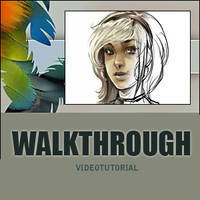 I love your art style, and very nice tutorial, I find it very helpful ^^ Danke! super tutorial that instantly made a maaaassssive difference! super cool + very helpful~~!!! i didn't know this could be done - will be used in the future.